UNIQUE HOME and BARN. 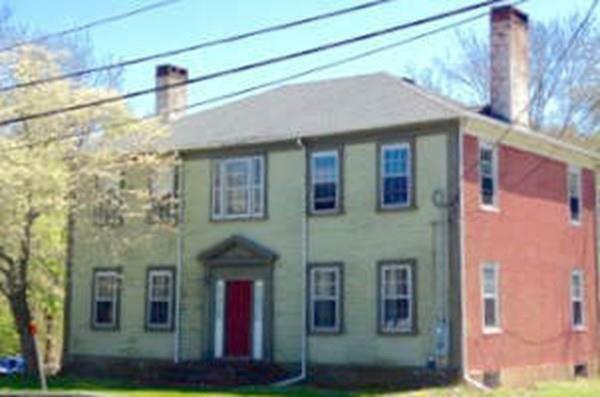 Brick-end Federal Colonial in local Historic District of Harrubs Corner. Over 6 acres w/stonewalls border Barrows Brook. Buildings appear not be in Flood Plain. Once stately home offers high ceilings, open staircase, pine flooring, 4 fireplaces and expected architectural touches. The barn exceeds expectation with finished interior [1885 sf] of wood flooring, heat and half bath/plumbing, see barn rooms and sizes shown as 'other' on the list of rooms. Natural light floods first floor of barn w/ open floor plan. Two staircases access finished second floor offering 3 rooms /skylights. Barn once used as dance studio and again as a frame shop. This ESTATE SALE is your opportunity. Listing courtesy of Deborah Glass of Century 21 Classic Gold Realty. Disclosures Heat in Barn Dishwasher Microwave No Working. Both Roofs And Well Are Newer. Listing provided courtesy of Deborah Glass of Century 21 Classic Gold Realty.